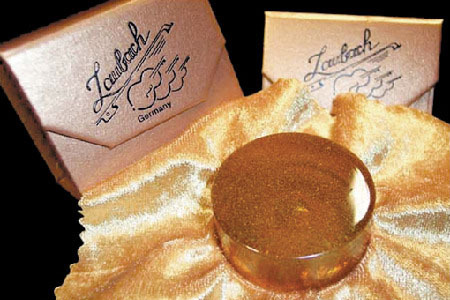 Our GOLD rosin for cello with 99.9 percent whole gold powder produces very little dust, but it also produces a very warm and wide clear sound without scratching. It is resistant against climate changes and other environmental variables. Our rosin comes with an original gold carrying pack with magnetic clasp. Originally $30, but avaiable now for an introductory price of $27!